In a recent broadcast of CBS’ 60 Minutes, host Lara Logan sat down with billionaire Robert Bigelow, an entrepreneur and pioneer in the private sector aerospace industry. After giving his thoughts on the future of space exploration, Bigelow was asked if he believes in aliens, and given Bigelow’s partnership with NASA, SpaceX and other cutting edge companies, he is in a unique position to speak on this matter. 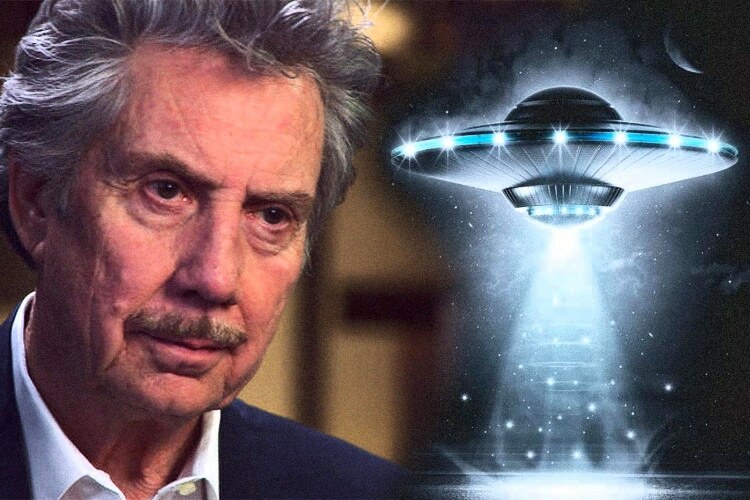 His company, Bigelow Aerospace is presently designing expendable space craft which can be used for a variety of purposes in outer space, and another company of his has for years been a consultant for NASA on reports of UFO’s and other unexplainable sightings and events. Bigelow has spent hundreds of millions of dollars of his own money to advance space exploration. In response to Logan regarding his belief in aliens, Bigelow says they exist ‘right under our noses,’ yet he declined to comment on the details of his personal experiences or those of the FAA. Lara Logan: You don’t worry that some people will say, “Did you hear that guy, he sounds like he’s crazy”? The FAA confirmed to us that for years, it referred reports of UFOs and other unexplained phenomena to a company Bigelow owns. He told us he’s had his own close encounters, but declined to go into detail. Robert Bigelow’s quirky and he knows it, but when you have as much money as he does, no one — not even NASA — seems to care. His comments are inline with those of numerous government officials, astronauts and scientists who’ve gone public with their own stories of close encounters or in dealings with government agencies privy to the most secretive information on aliens and extraterrestrials. Many people believe some kind of ET contact is certainly already underway on planet earth, yet due to a government and mainstream media blackout on this issue, the world at large is left to speculate. Comments like Bigelow’s can be taken as more evidence in support of theories on the presence of ET’s, or they can be taken as another small effort to obfuscate the truth by not providing details to such claims. This article (Aerospace Billionaire & NASA Partner Tells CBS About the ET Presence on Earth) was originally created and published by Waking Times and is published here under a Creative Commons license with attribution to Terence Newton and WakingTimes.com. It may be re-posted freely with proper attribution, author bio, and this copyright statement.